Wonder where it all went wrong? Had a great date and then never heard from him/her again? Let Steve & Laura find out what happened! 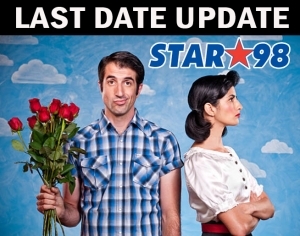 Tune in every Wednesday morning at 7:30am to STAR98 for the LAST DATE UPDATE with Steve & Laura! Be part of the show and finally figure it out…. and you might just get another date paid for by STAR98!